Coins 45 Greek Italy. Southern Lucania, Thurium. 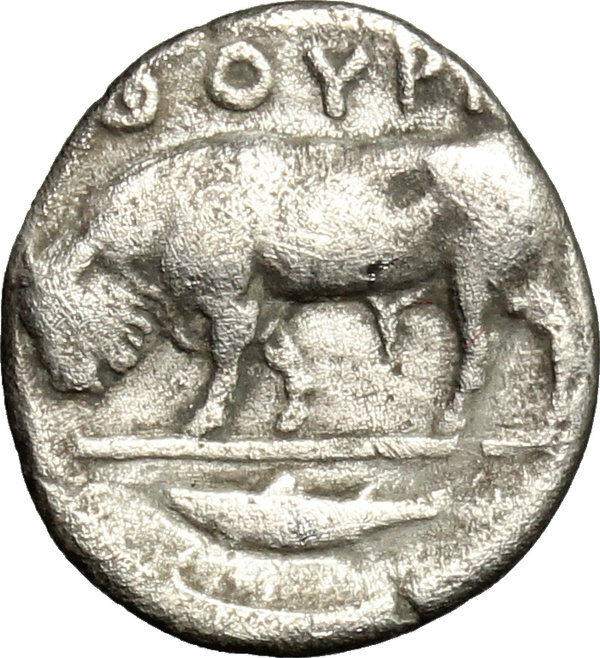 AR Triobol, c. 443-400 BC. 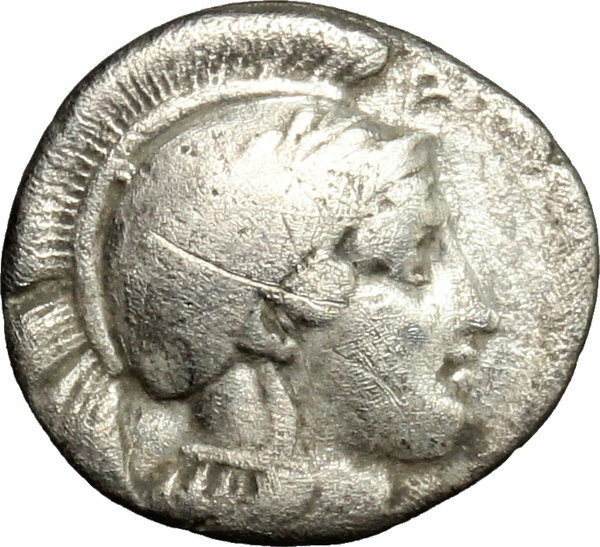 D/ Head of Athena right, wearing Attic helmet decorated with hippocamp. R/ Bull charging right; in exergue, fish. 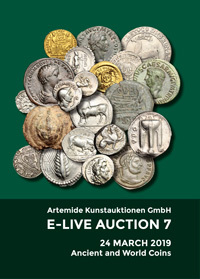 HN Italy 1777 var. (bull left). AR. g. 1.13 mm. 12.00 Scratch on obverse About VF.